Burshaw North Western is set in BR blue days, in the north west of England. 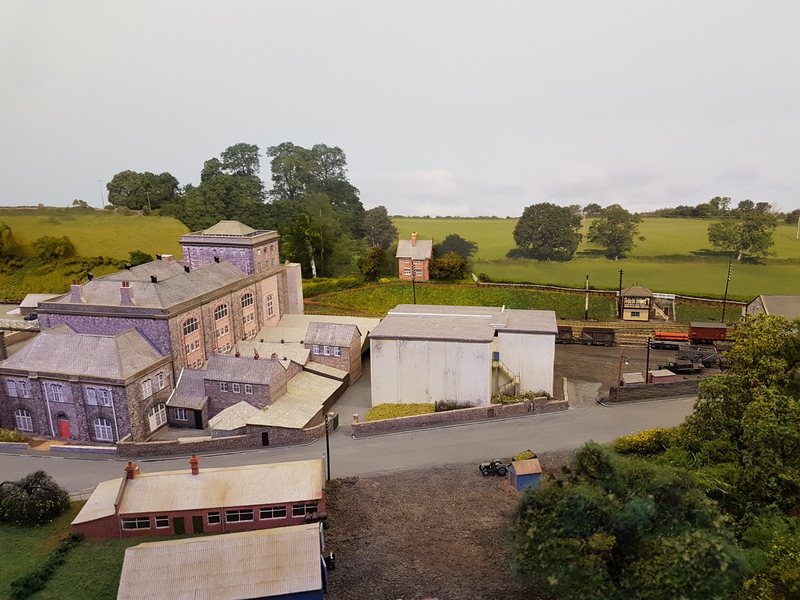 I was pleased to see this layout at last, as I had booked it for an old ESNG show, and the builder then had to cancel as he moved north for work at short notice. The early pre-TOPS era might not have been that auspicious for the railways, but it makes for interesting modelling. More overhead electrics on the West Coast Main Line, but this time at Hatch End, at the London end of the line. Here we have four main line BR tracks, and two underground lines. Langston Bridge, on the Hayling Island branch, is very long and very simple, but an ideal spot to watch a succession of Terrier tank engines amble across the bridge. Wenlock is a small BR (WR) branch terminus in the 1950’s. Built from readily obtainable items, it shows how a realistic layout can easily be put together. 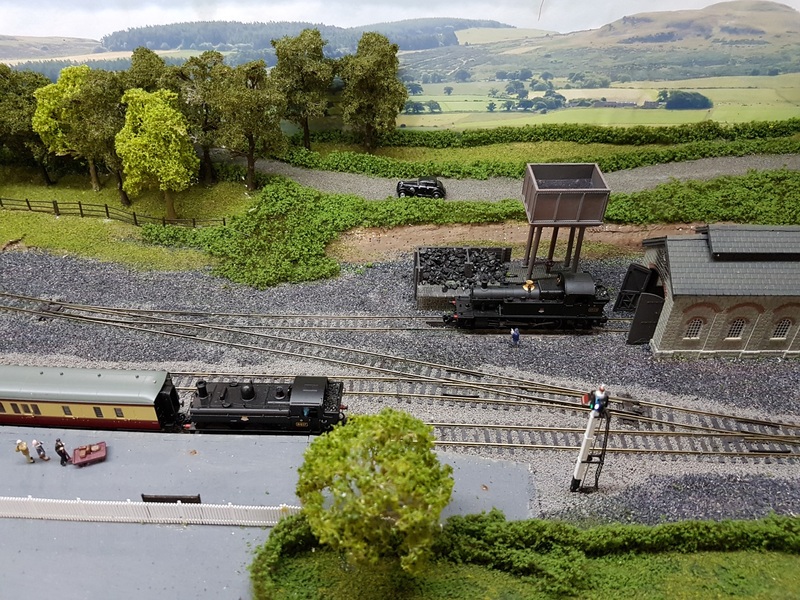 Annston again visits northern England in BR days, but this layout is an end-to-end model. 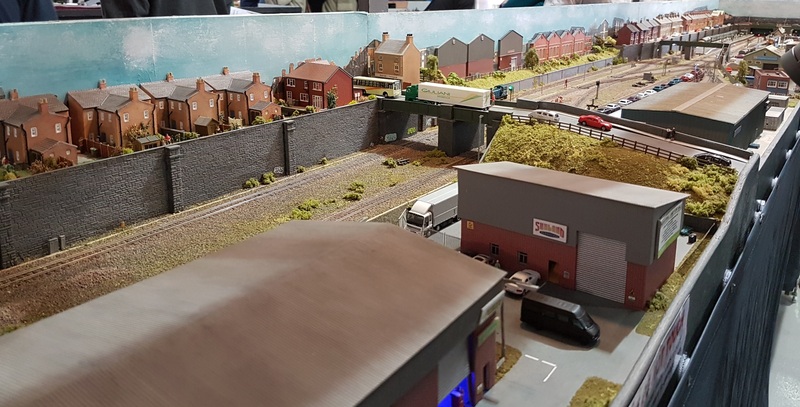 New Dalby – Research Division was one of the ‘different’ layouts on display, modelling a modern railway technical test centre, and offering a chance to run all those luminous yellow items of rolling stock. Whartson Hall offers three main lines and their associated infrastructure and a chance to watch the trains go by. Wickwar, modelling the early 1950’s, offered some excellent buildings and scenic modelling. Another of the more ‘unusual’ layouts, Ballykeale models Irish railways at the end of the last century. And they really are coming soon!! Farish SECR Birdcages in full colour, and now under production, plus the C Class 0-6-0 to follow. And expensive treat, hopefully starting later this year! As always, I missed a number of layouts in my photographs, but I hope that I picked up many of the best ones on show. We had a pleasant day out, helped by the relatively clear roads for the journey. I managed to do some essential shopping (well, essential in my eyes). This included another Dapol Terrier, and also a set of American baggage cars. I had vowed not to add to my USA stock, but these were just too nice, and reasonably priced, to ignore. I also came away with some more blue boxes for my stock (thanks, Jon), and some bits and pieces from N Brass. What was unusual was that I spent most of the morning talking to old friends, and rather less looking at the layouts. 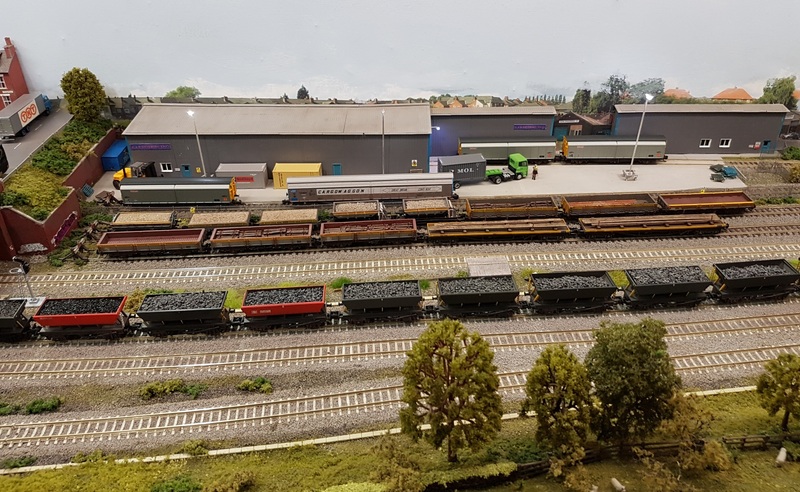 What with the ESNG members exhibiting, and a surprising number encountered wandering around the show, plus our N-Club German friends, plus all sorts of other acquaintances, and traders that I know, I seemed to have talked my way through the morning. 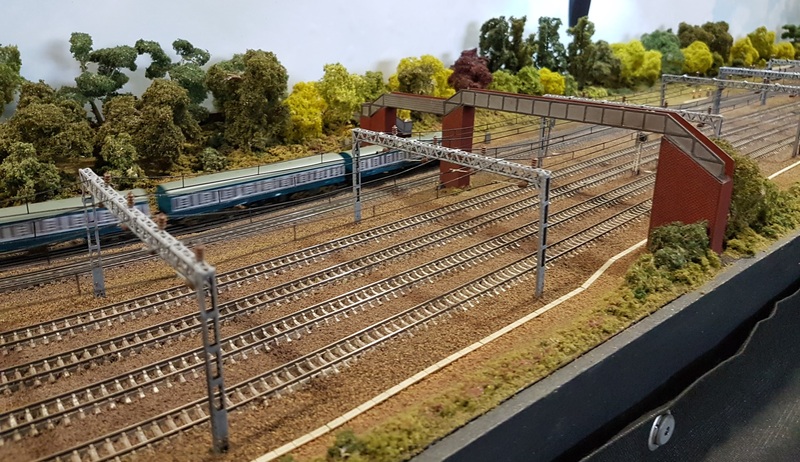 As for the show itself, I thought that there was plenty of very good modelling to be seen, but perhaps not as much that stood out as ‘different’ or ‘ground breaking’ as in some years. Some shows I come away inspired (not that it has much effect). On Saturday I came away content, but not moved to build anything. That probably says more about my taste (or lack of it) than the modelling. Perhaps the problem was that it is ‘TINGS’. 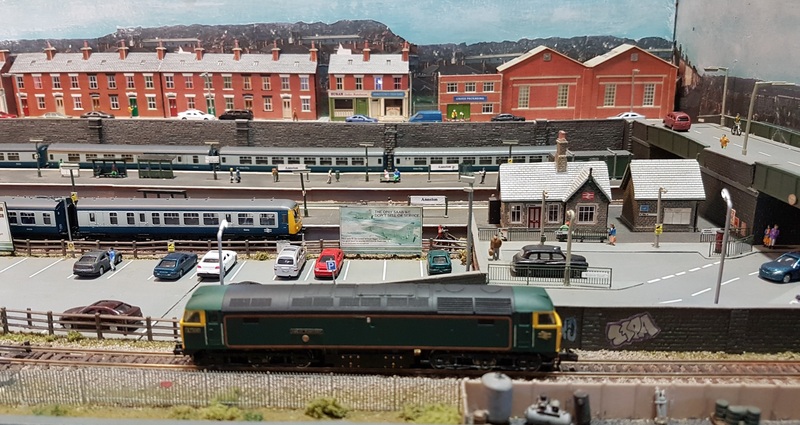 All ‘N’ gauge might actually be a mixed blessing, as some of the best inspiration comes from layouts in other scales – whether it’s the realism and even beauty of fine scale modelling, or the wider range of prototypes modelled in other gauges. 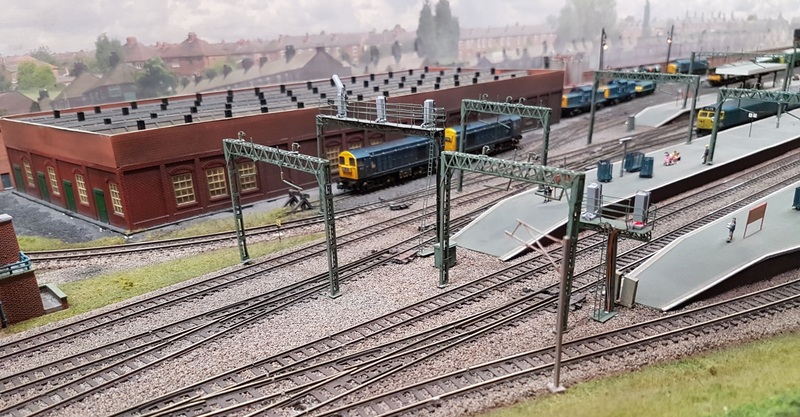 Perhaps ‘N’ gauge layouts have tended towards large ’roundy-roundy’ layouts, often in city outskirts. 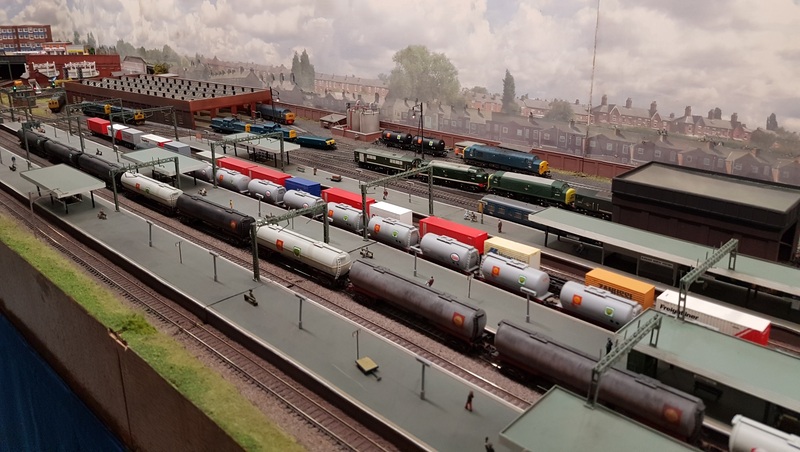 These offer good operation potential for exhibitions, and for the sort of ‘N’ gauge stock currently available, but there may be too many of them around these days. But will I go back next year – of course I will! 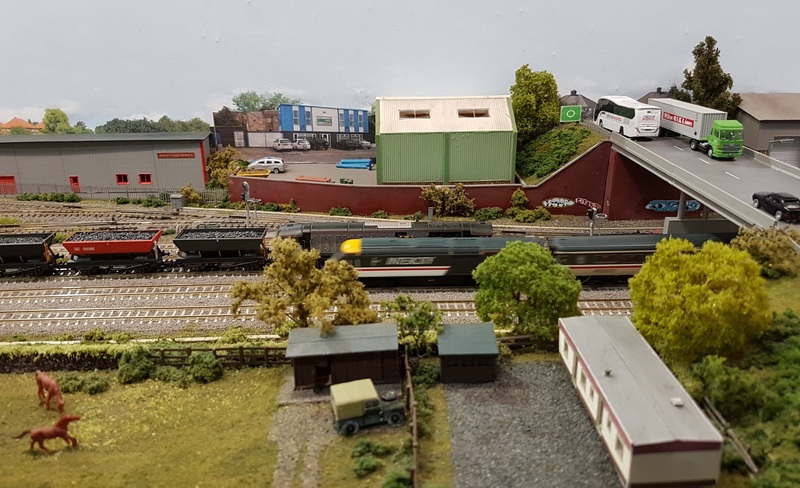 This entry was posted in Exhibitions, Inspiration, Out and about and tagged exhibition, inspiration, model railway, N-Club International. Bookmark the permalink.